Zoll Medical's innovative OneStep™ Complete multi-function resuscitation electrodes combine several commonly used electrodes into one easy-to-manage, reliable package. The electrodes feature defibrillation, pacing, and CPR assistance capabilities. 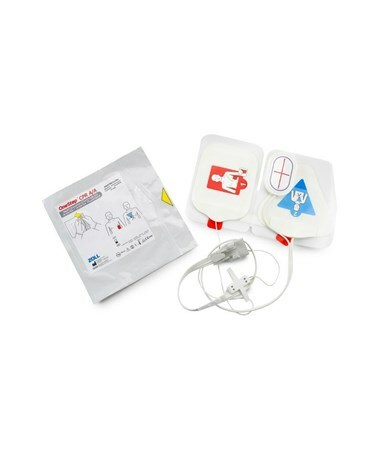 The electrodes are designed for fast, simple, and effective defibrillation and ECG monitoring. 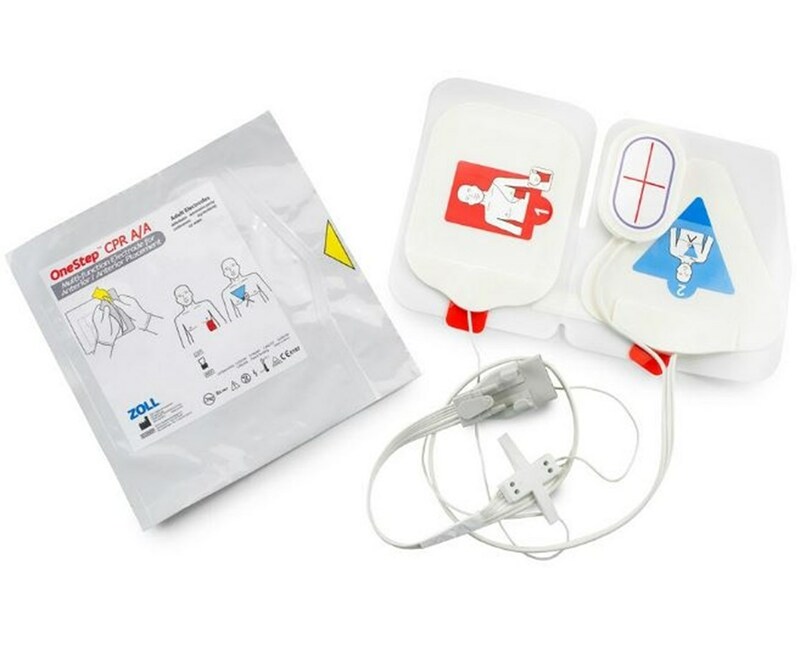 Its Speed Pack™ packaging eliminates tangles for speedier application, while its built-in Code-Ready connector, in conjunction with R Series defibrillators, ensures that the electrode is always ready to use without even opening the package. The defibrillator displays a green check or red X to signify code readineess and automatically notifies users of impending expiration dates. OneStep™ pacing technology provides half the current with twice the capture for heartbeat regulation with improved patient comfort. The external pacemaker may be temporarily stopped for observation of underlying ECG rhythm. Pacing relies on an external ECG signal and can often be cumbersome and confusing with extra ECG leads and electrodes. The anterior pad features three built-in leads, eliminating the need for a separate ECG cable. When used with the defibrillator's Real CPR Help® and See-Thru CPR® tools, the electrodes' sensor works with the device to provide feedback on the depth, rate, and quality of compressions. These tools make proper CPR an attainable reality and increase the chances of resuscitation. Zoll's OneStep™ Complete electrodes combine defibrillation electrodes, ECG monitoring electrodes, pacing/defibrillation electrodes, and CPR assistance capabilities into one hands-free pad, eliminating tangles, confusion, and the need for multiple pads and wires. They are compatible with Zoll's M Series (with OneStep™ cable, sold separately) and R Series defibrillators. They boast a shelf life of 24 months and are packaged in a convenient, budget-friendly case of eight pairs of electrodes.